Genetec Inc. (“Genetec”), a leading provider of open-architecture, unified IP security solutions today announced a new subscription model for its flagship unified security platform, Genetec™ Security Center. Security Center Subscription introduces new flexible ownership and payment options that allow customers to get access to Security Center on a 'pay-as-you-go' basis. Subscribing customers receive the same local, on-premises version of Security Center and pay for it on a monthly or annual basis, as opposed to purchasing the entire system upfront. When purchasing on subscription, customers also benefit from the Genetec online support resources and qualified support professionals by phone or through live chat, as well as access to Security Center Cloud services with risk-free trials included in the price. Security Center Subscription is available immediately through the new Genetec self-service portal. A recent Gartner Inc. industry report noted that by †2020, more than 80% of software vendors will change their business model from traditional license and maintenance to subscription, regardless of whether the software resides on-premises or in the cloud. Along with the flexibility and affordability of a subscription model, the Gartner report finds that the value of short-term predictability trumps long-term costs, particularly when the ease of adding or relinquishing licenses is included in the picture. The subscription model also moves the purchases from capital expenditure (CAPEX) to operational expenditure (OPEX). This enables customers who are looking to upgrade their systems to Security Center to do so from operational budgets allocated to their older, less capable security software. "In the past few years, companies like Adobe, IBM, Oracle, Netflix and many other software companies have adopted flexible buying models with impressive success, offered as Technology-as-a-Service (XaaS) via the cloud, or as a traditional on-premises installation with monthly-or-annual renewals,” said Andrew Elvish, Vice President of Product Management and Marketing at Genetec. 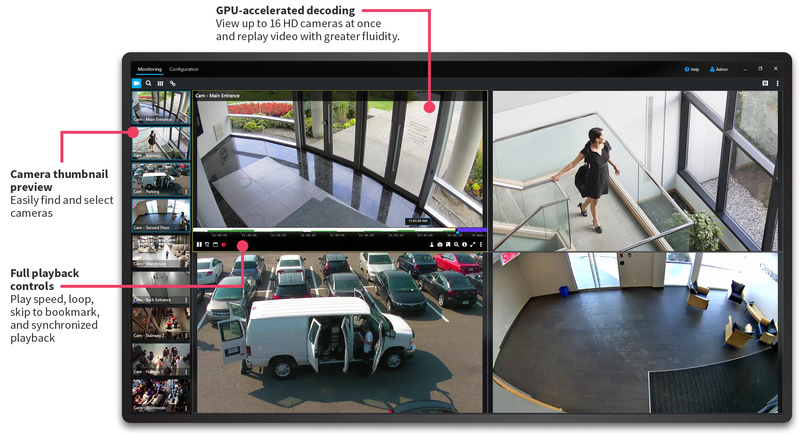 “Genetec is leading the way in the physical security industry by offering customers an alternative ownership option for our successful video surveillance platform. Not only will customers enjoy the same fully-featured version of Security Center, but they will do so with lower upfront expenditures, predicable recurring costs, and access to the latest releases and Genetec support resources, at no additional charge,” added Elvish. As part of its new subscription model, Genetec is introducing Security Center Compact, a new entry-level edition of Security Center. Only available through subscription, Security Center Compact will be showcased for the first time at ISC West on booth #26 057. This new edition of Security Center supports up to 25 cameras and provides an easy, “no training required” option for customers with basic video management requirements. A good fit for smaller sites, Security Center Compact systems can also be linked to larger systems through the Genetec™ Federation™ feature, allowing for centralized monitoring as seen with citywide surveillance and multi-site businesses or campuses. The Compact edition features all of the camera integrations available in the enterprise edition of the software, so customers can choose the vendors they want to work with and design a system that suits their business. In addition to providing smaller-site video surveillance, Security Center Compact offers a clear path as an organization's security needs evolve over time; Security Center Compact users can simply update their subscription and purchase a higher edition of Security Center as their system grows, avoiding the need to install and/or re-deploy new system software. Beginning in April 2016, Genetec certified channel partners can sign up for a 90-day trial of Security Center Compact. To take advantage of this limited-time promotion, channel partners should visit the Genetec Channel Partner Portal for an instant download. For more information about Genetec™ Security Center Subscription and Genetec™ Security Center Compact visit: http://www.genetec.com/subscribe. For purchase and pricing quotes, contact a Genetec regional sales manager, certified integrator or channel partner or visit: http://www.genetec.com/about-us/contact-us . © Genetec Inc. 2016. GENETEC, SECURITY CENTER, GENETEC SUBSCRIPTION, GENETEC COMPACT and the GENETEC LOGO are trademarks of Genetec Inc., and may be registered or pending registration in several jurisdictions. All other trademarks used in this document may be trademarks of the manufacturers or vendors of the respective products.